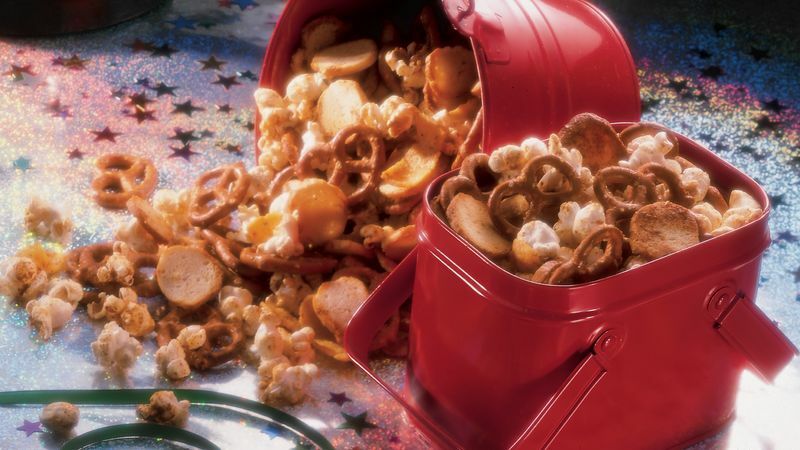 In large bowl, mix popcorn, pretzels, bagel chips and corn chips. In small bowl, stir remaining ingredients until well blended. Drizzle evenly over popcorn mixture; toss gently to coat. Store in tightly covered container.